We always aim to have at least two Land Rover restorations in build at any one time. No one restoration goes smoothly from start to finish, and there are always new surprises that will slow the process, so having two or three on the go allows us to jump from one to another to keep the ball rolling. All of our Land Rover restorations involve stripping the entire vehicle to the barest of bones. Once stripped, the chassis, if savable, is blasted, repaired, primed and painted before being treated internally to prevent further rusting. When chassis aren’t repairable they are replaced, normally with a galvanised reproduction, or in some cases with original parts when they have become available. In the case of a new galvanised chassis we will flat and prepare the galvanised surface to remove all of the rough imperfections left by the galvanising treatment, then the surface is coated with a special etch primer before receiving several coats of semi-gloss black. When applying paintwork to a chassis we endeavour to create a far flatter and better finish than original. We can of course, should the customer require it, create a look that resembles the original, but just because that was what happened originally, doesn’t make it right. With the body removed the engine is lifted out, along with the gearbox and the strip down process begins. Every part is assessed before being cleaned or replaced ready for reassembly. Our engines and gearboxes are built to the highest of standards using many years of experience to ensure long term reliability. Axles undergo the same treatment along with the brakes. All items are stripped, blasted and reassembled with new parts and fresh paintwork leaving the underside of the vehicle looking as good as the top. When it comes to the bodywork we try to reuse as many of the original panels as possible. The original Land Rover panels were made from Birmabright, which is an alloy of aluminium and magnesium which gives incredibly good rust-resistance, so much so that Land Rover didn’t paint under the wheel arches of a Series Land Rover because it wasn’t necessary. However, unfortunately, where aluminium meets steel an electrolysis effect can cause quite severe corrosion. Where this is found we will either replace the panels that are available, or we will remake, by hand, the panels to original specification. The body panels are all then stripped to the bare metal, repaired, etch primed and then painted to the highest quality. Every electrical item, including the wiring loom is replaced with period wiring. The speedometer and gauges are completely overhauled, along with the steering wheel, using original techniques. Unless customers require otherwise, a restoration is trimmed to exacting original standards, in most cases this is of course black vinyl. 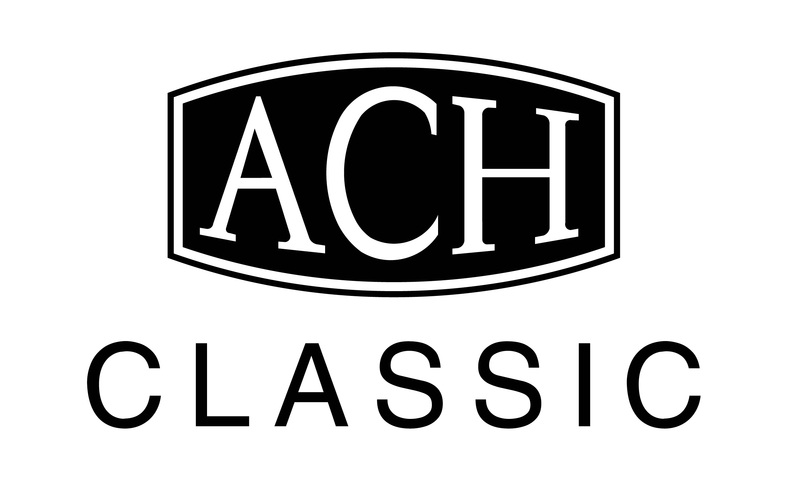 The team at ACH Classic pride ourselves on the highest quality paintwork, second to none. You will not find a higher standard anywhere and if you don’t believe us then please come and check it out. We have a state-of-the-art spray booth at our workshop in Silverstone. We have painted many classic cars as well as Land Rovers and pride ourselves on the quality of our finish. Once all work is completed the vehicle is tested thoroughly out on the road to ensure everything is up to standard. Once we are satisfied your new restoration can be collected from our showroom in Silverstone or we can transport your Land Rover to your door.